Made to Stay! Made to Play! Research indicates that time spent outdoors can improve a person’s health and happiness. Parks, playgrounds, campgrounds, and beach recreation areas are designed to keep people physically and socially active. The benefits of participating in fun, outdoor games extend beyond improved personal well-being. They have a positive impact on the community, too. Great for Parks or any recreation area. Cities, park districts, apartment complexes, and universities across the country know that well-utilized recreation space boosts social ties and reduces crime. Until now, the challenge was to find affordable, low-maintenance outdoor games that appeal to a wide range of ages and require minimal upkeep. Doty & Sons is offering a solution by introducing B.Y.O. 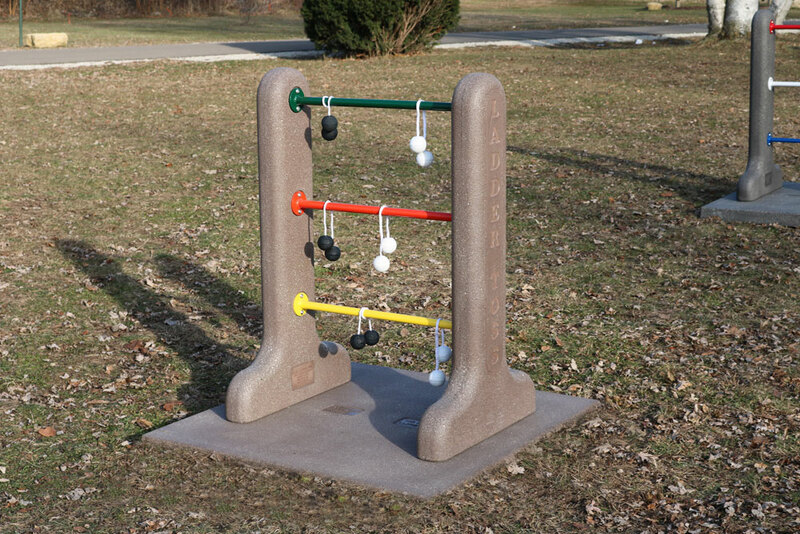 Ladder Toss game to its line of permanent, outdoor recreation products. Ladder toss is played by throwing bolas, two balls connected by a rope, from 15 feet away onto a freestanding, three-rung ladder. Point values are assigned to each rung and the first player or team to reach 21 points without going over is the winner. 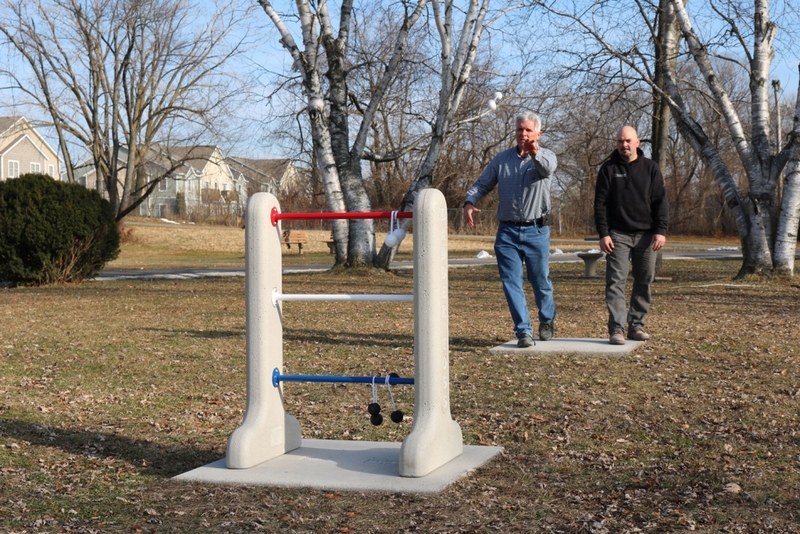 What makes the B.Y.O Ladder Toss game unique is the concrete stand. Because concrete has a long service life, it conserves resources by reducing the need for reconstruction, and resists weathering, erosion, and natural disasters. Few repairs and little maintenance will ever be needed. Item LT4232 has concrete ends with steel rungs. Concrete is reinforced and available in standard and special pigmented colors. Ladder Toss Game for outdoor fun. 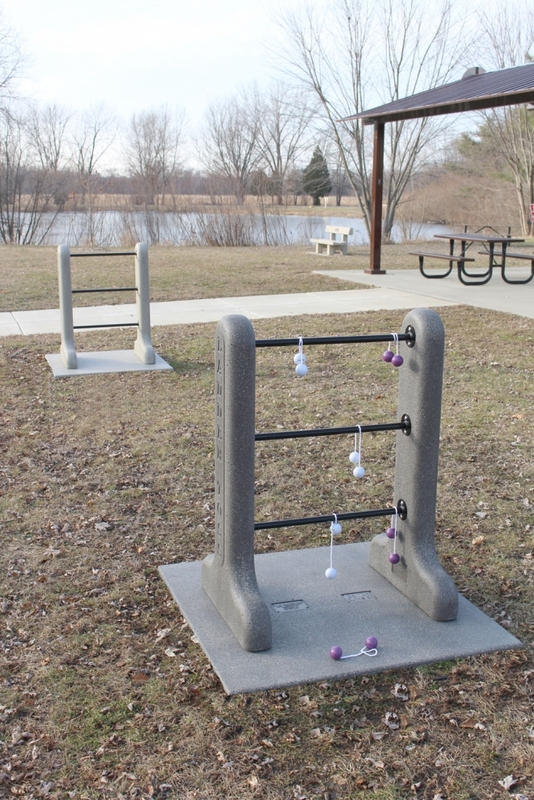 The rungs are made of solid, 1” steel bars that are powder coated twice for extra protection against the elements. The bars are secured to the stands with stainless steel security bolts and additional colors are available upon request. All Steel Ladder Toss with an industrial look. Item LTS4232 is all steel. The All steel model is heavy duty I beam construction. The steel is powder coated twice for extra protection against the elements. Standard color is black. Rungs are available in many colors by special order. Standard color is silver gun metal. 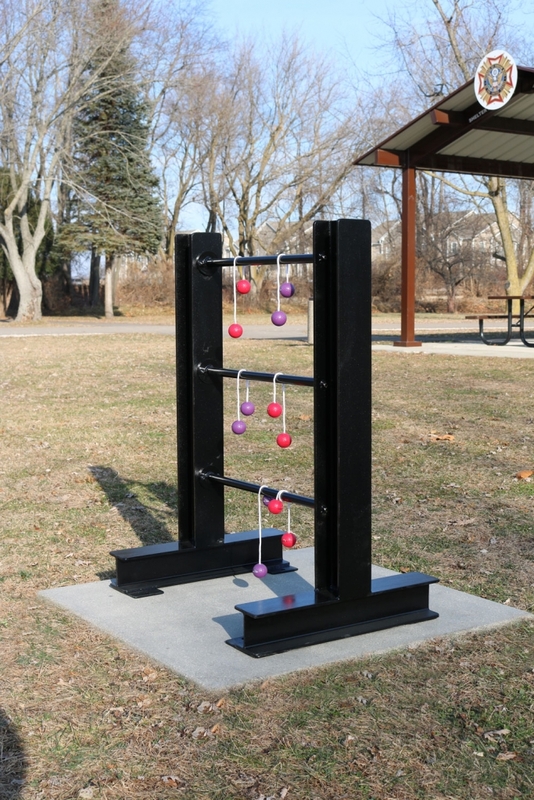 Ladder Toss will make a great addition to any park, apartment complex, campground, resort or beach recreation area. Stands with rungs. For customers who have existing concrete pads. Ladder Stand with Base The precast base and stand can be installed same day without need to mix concrete. Ladder Stand with Base & Throwers Blocks. Precast throwers block makes a nice set and prevents wear spots in the lawn. Ladder Toss Stands shown near a park shelter. For more information about Doty & Sons and their extensive product line, go to www.dotyconcrete.com.